Includes mask application, massage to tone up facial muscles, vacuuming, laser-toning and deep facial cleansing to reveal a fresher, cleaner and smoother skin. A full facial treatment procedure with extra pampering by applying a rejuvenating mask which contains natural herbal extract, sea collagen and moisture factors. With frequent application, it can help rejuvenate the skin making it look healthy, shiny & elastic. A full facial treatment procedure with the application of whitening mask which contain natural whitening ingredients, sea minerals and moisturizers that help lighten the skin and provide a radiant glow. Acne is a most common yet complicated skin disease that affects people at different stages, mostly at adolescence, but also at times of stress and hormonal imbalance of adulthood. Fortunately, there are several topical and systemic medications that can successfully treat acne. It is important to follow your acne treatment program as directed in order for it to work effectively. Another critical factor to treating acne successfully is having a good rapport with your trusted dermatologist. What is Mild Acne Treatment with Full Facial? Mild Acne Treatment with Full Facial is an acne treatment procedure which involves deep-pore cleansing using acne masks, steam, laser toning and manual comedone extraction. What acne condition does it treat? As the service name connotes, it is intended for mild acne problems. How do facials help in mild acne cases? Facials are very helpful for deep-pore cleansing and reduce the acne count significantly. What is Advanced Acne Light Treatment? Advanced Acne Light Treatment is an acne treatment system using LHE (Light & Heat Energy) Technology that effectively clears inflammatory acne lesions in just 1/3 the time it takes for standard topical and oral treatments to do the same. How many treatments are needed to achieve the desired result? A series of 8 treatments (2x weekly for 4 weeks) is all it takes to get back on the road to dramatically clearer, smoother, acne-free skin. The treatment is simple and takes just 10 minutes per session. Are there any possible adverse effects? Advanced Acne Light (LHE) Treatment has no adverse side effects, discomfort, patient downtime or exposure to antibiotics. How does Advance Acne Light (LHE) Treatment work? The green light penetrates into the skin and kills the propioni bacterium acne. The red light produces anti-inflammatory results. What is Intralesional Acne Treatment? to reduce the pain, swelling, and redness of cystic acne. How soon the result is seen? In 24 to 48 hours, the pimple goes down significantly or goes away. How does the treatment like? The injection is painful and can sometimes result in a superficial dent if too much solution or too strong a concentration is injected. This dent usually resolves in many months, but it can be permanent. Diamond Peel is a fast and pain-free non-surgical exfoliation of the skin using natural diamond chips while at the same time vacuuming the dead skin cells awaya. It rejuvenates the skin leaving it remarkably supple, vibrant and youthful-looking. It is an intense exfoliation process which has been practiced in Europe for years using ultra fine corundum oxide crystals to remove the upper layer of the skin. It is a safe, non-surgical, comprehensive approach to skin care that enhances skin condition and fights signs of aging. Improvement on skin's appearance (depending on the area treated).Stretch marks and acne scars will be less obvious. Age spots and fine lines are greatly diminished resulting to a softer, smoother and younger looking. What are Power Peel treatments like? With the aid of micro-crystals vacuumed through a delicate handpiece, held at precise angle to the skin, a technician effects a superficial skin polishing. in as little as twenty minutes, it efficiently produces satisfying results. On the first treatment, your skin will have a fresh pink glow. Improvement continues throughout your treatment program. Number of treatments recommended for maximum results is between 2-12 (depending on skin condition). Treatments are spaced one to two weeks apart, giving the treated area time to heal. What are the benefits of a power peel over the procedures? - No recovery time therefore no disruptions to normal activities. Treatment last about 10-30 minutes. However, treatment for stretch marks can take as long as 2 hours. It is a non-surgical procedure using a chemical solution to peel away the skin's top layer. It restores wrinkled, blemished, unevenly pigmented, or sun-damaged skin. It works best on fair, thin skin with superficial wrinkles. What will I feel while undergoing the procedure? What results can be expected after the procedure? A skin peeling procedure using various concentrations of fruit acids to exfoliate the skin, even out skin tone and achieve a rosy white appearance; works best on fair, thin skin. Fruity Acid Peel is otherwise known as Glycolic Peel mainly because it uses glycolic acid which is an Alpha Hydroxy Acid (AHA) derived from sugar cane. Having the smallest molecular structure, glycolic acid can penetrate deeper into the skin without any side effects. A smoother clearer younger complexion. It is a deep total skin peeling procedure via mechanical scraping of the top layers of skin using a high-speed rotary wheel. It softens sharp edges of surface irregularities, including acne and other scars and fine wrinkles, especially around the mouth. There may be some pain, burning or tingling sensation. Pain is controlled with analgesics. The swelling subsides in 3-5days, a crust forms over the abraded area and the healing begins. The crust falls off and exposes the growing skin. Local itching is taken care of by topical ointment. It is a must to take strict sun protection until normal pigmentation returns completely. A smoother, finer and younger complexion. It is a simple, safe and non-surgical procedure which weakens the targeted muscles that causes wrinkles by using a tiny micro-needle to inject a very small amount of Botox precisely, into several locations on the face. After the injection, the muscles will relax, thus reducing the appearance of wrinkles resulting to a rejuvenated and youthful glow. What are the applications of Botox? It selectively interferes with the underlying muscles' ability to contract which results to smoothening of existing frown or expression lines. After treatment, the overlying skin remains smooth and unwrinkled while the untreated facial muscles contract in a normal fashion, allowing normal facial expression to be unaffected. It has been used safely and effectively for over ten years in the field of cosmetic enhancement & facial rejuvenation. Each year, thousands of patients receive Botox treatments for a variety of conditions and it is quickly becoming a popular treatment for reversing the visible signs of aging. Botox injections can be done without local anesthetic. A very small amount of Botox protein is placed through a micro-needle and is injected very precisely into several locations on the face. The needle is so fine that makes the procedure almost painless just like a bug bite. The procedure takes just a few minutes, you can return to work immediately without any signs of having had the procedure done. Most common side effect is temporary bruising. 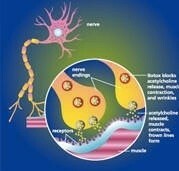 In some cases: toxin can transfer and cause a temporary weakness of nearby muscles. In rare cases: drooping of an eyelid or asymmetry of facial expression. Risk of side effects depends on the muscles injected. However, any side effects are temporary, lasting only a few weeks. The results can be seen in 3-7 days. It can last up to 4 months but with reapplication the results begin to last longer. As we age, the skin loses elasticity, volume and structural support which leads to the formation of deep lines, grooves and folds - especially around the mouth. In addition to this, our lips, which are perhaps the most prominent aesthetic feature of our face, begin to lose volume and become thinner and less well defined. 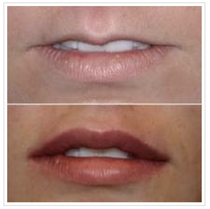 Naso-labial and Marionette lines are formed by skin folds running between the nose, mouth and chin. These furrows are among the first to appear on the aging face, and together with lip enhancement, are the primary areas treated by Dermal Fillers to improve facial aesthetics. As you can see, these are areas that directly correlate to a Dentists field of expertise! If anyone should be enhancing lips it should be Dentists, as soft tissue treatments in this region have a direct impact on the cosmetic dentistry Dentists provide and vice versa. Dermal Fillers are a temporary treatment method, that provide immediate results for eliminating these facial lines. They consist of a substance that naturally occurs in our bodies and is therefore broken down by natural means and is hypo-allergenic. Realising that the effect of cosmetic dentistry is limited if the facial tissues surrounding the oral cavity are not also enhanced means that Dermal Filler treatment is the logical next step for Dentists wishing to frame their artistry. Dentists must use aesthetic principles to harmonise the dentition; muscles of mastication; lips, cheeks and nose - training in Dermal Filler therapy will allow true aesthetic enhancement of the patient as a whole. Beautiful lips dress up a beautiful smile and no one is more qualified to enhance a persons lips than a Dentist. A persons lips may be naturally thin; lack definition; be asymmetrical; have lost volume due to age; and may have developed small vertical "smokers" lines due to the strong contraction of the Obicularis Oris muscle - whether or not smoking was ever the cause. Dentists are able to provide profound anaesthesia to the peri-oral structures (unlike other health professionals), simply by administering local anaesthetic as they normally do multiple times a day - in fact, such aesthetic procedures can even be performed during appointments when restorative dental work is being completed, saving the patient time, money and unnecessary exposure to further anaesthetics. Successful lip augmentation requires the practitioner to not only be procedurally competent but to have an artistic flare, understanding correct anatomical profiles and proportions between tooth and soft tissue display. Dentists are masters at creating beautiful smiles and lips are a natural extension of this. Mesotherapy is a non-surgical medical technique which was first introduced in France over 50 years ago. It is a virtually painless injection of vitamins, minerals medications and amino acids placed just under the surface of the skin to deliver corrective treatment to a specific area. With the skin as the direct vehicle by which the body receives its treatment, quick results are achieved. Mesotherapy has been used in Europe for different purposes, such as overall weight loss, spot weight reduction, hair loss, scar revision, cellulite reduction, wrinkle elimination and chronic pains like muscle spasms, migraines and arthritis, and even erectile dysfunction. Fats in specific areas to be treated are dissolved by medications used in Mesotherapy. Dissolved fats are carried through the bloodstream and excreted by kidneys and bowel. 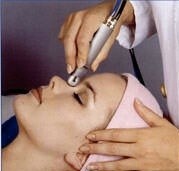 Mesotherapy treatment is a simple procedure. Once the skin is cleansed, a micro needle and syringe with the customized medications are placed into the skin over the problem area almost painlessly. The patient then lay still for few minutes to allow absorption of the medication. After a while, the treated area is dried and the patient may return to usual daily activity. Some patients may experience slight bruising, swelling and tenderness that disappear within few days. For Body Sculpting (Lipodissolve/MesoSculpting): Mesosculpting is a virtually painless alternative to liposuction. It is a non-invasive procedure which removes fat from fat cells without the patient's downtime. Microinjections of individualized “fat burning” formula are given to melt down the fats into the areas being treated such as saddle bags, hips, thighs, waist, love handles, back fat and chin. A series of treatments (2-8) are given spaced one week apart. Results are considered permanent as long as the patient adheres to a proper nutrition and exercise regimen. For Skin Rejuvenation (Mesolift): Mesolift infuses the dermis with potent vitamins, proteins and anti-oxidants to rejuvenate and revitalize the skin. These facilitate the skin's ability to build collagen and elastin as well as hold onto moisture. Through direct application at the mesoderm for about 4-5 sessions, spaced one to two weeks apart, the skin becomes noticeably firm, youthful, radiant, and more hydrated. For Cellulite: Cellulite commonly appears on the hips, buttocks and legs, but is not caused by being overweight. 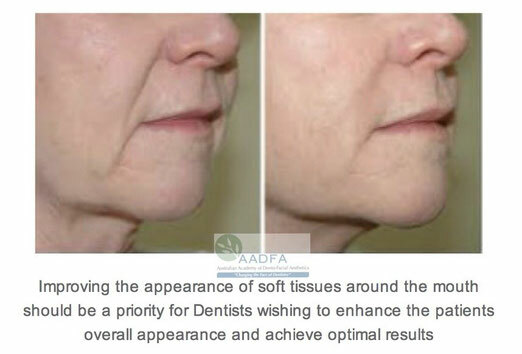 It is caused by connective tissue bands that hold down the skin, trapping the fat which caused the “dimple” effect. With Mesotherapy, these bulges are treated by removing the fibrotic, hardened connective tissue, dissolving excess fat deposits, improving blood flow to the area and lymphatic drainage. In about four weeks, the patient's skin appears significantly smoother, and dimple-free. For Hair Restoration (MesoHair): Mesotherapy also works well in restoring thinning hair. Medications which are traditionally applied topically and/or taken orally are injected into the scalp where the extensive microcirculatory system then bathes each follicle. Through this, the medication is at full strength and does not get broken down by the liver or kidneys prior to reach the target hair follicle. The result is a significant decrease in hair loss and a fuller head of hair. Adults between the ages of 18-75 who are in good health and want to lose weight, sculpt their bodies, eliminate cellulite or restore their hair are candidates for Mesotherapy. For a more sound evaluation, we will be happy to discuss the appropriate treatment for you during a consultation. Mesobotox is a mesotherapy technique using Botox formulation. The result with Mesobotox is similar to that of Botox producing a smoother, more youthful looking appearance. Which is more applicable for me? Mesolift or Mesobotox? A certified and well-trained dermatologist is the best person to tell you whether Mesolift or Mesobotox is more appropriate and more effective for you in addressing your aesthetic concerns. What is Cellulite Therapy (Endermologie)? It is a safe, non-surgical, comprehensive approach designed for the purposes of temporarily smoothing the unsightly appearance of cellulite, increasing local circulation and relieving minor aches and pains. The instrument's hand piece is glided over the surface of your skin in a series of specific maneuvers, while precisely controlled pressure manipulate the skin & sub-dermal tissues. It increases circulation which is essential for the skin's healthy appearance. How is Cellulite Therapy (Endermologie) different from liposuction? Cellulite Therapy or Endermologie is a non-surgical procedure. Treatments do not involve breaking the skin in any way. Results can be see within 6 or 8 sessions, however 14 is the average number of treatments recommended for maximum results. Monthly maintenance sessions are recommended following completion of the initial series of treatments. Two cellulite sessions per week are recommended. For those on a diet, one treatment a week is recommended if proper nutrition is maintained. Each session lasts for about 30 minutes. Men & women of all shapes and sizes are affected by cellulites, and may be qualified for this procedure. However, initial consultation visit is required to ensure that you are in good health and have realistic expectations. Do cellulite treatments replace diet & exercise? No, it is still recommended that you add diet & exercise to daily routine while undergoing cellulite treatments. The treatments are invigorating and pleasant and can be easily customized to suit comfort level. How does the Body Wrap works? Body Wrap solution pulls unwanted toxins from the body which results in inch loss, reduces the appearance of cellulite, diminishes the appearance of stretch marks and firms skin. What are the toxins, and what causes them to be in our bodies? Toxins are caused by caffeine, alcohol, tobacco, sugar and other harmful things in our food and atmosphere. The body wrap removes all or some of these toxins. How will I feel after my Body Wrap? You will feel relaxed, refreshed, more energetic and much thinner. How long can I stay in the body wrap? You can stay in the body wrap at least one hour. Two hours will create greater result. Is the loss from the body wrap a water loss? No, the loss from the body wrap is from fat deposits caused by excessive toxins trapped under the skin. What is Vasculight Hair Removal System? Vasculight Hair Removal System is a non-invasive light therapy device specifically designed to eliminate unwanted hair from all parts of the body. How does Vasculight remove hair? Vasculight uses intense pulsed light to remove hair and impair hair regrowth. First, a cool gel and a hand-held treatment unit are gently applied to the skin. Then, in a flash, pulses of light safely penetrate the skin and disable hundreds of hair follicles simultaneously. When the gel is removed, much of the hair is wiped off with it. The remaining hair in the treated area falls out within a week or two. What is the advantage of undergoing Vasculight Hair Removal? Vasculight provides permanent hair removal and offers a fast, comfortable and reliable photoepilation for all skin types. How will my skin look like after the Vasculight Procedure? Your skin will look softer and more youthful, like the hair had never been there. Can all hair colors and parts of the body be treated? Yes, it can. The system's unique design offers customized treatment according to your hair color, texture and location of the body. It can remove all hair colors from all parts of the body including the chin, upper lip, cheeks, legs, arms, underarms, and back as well as sensitive areas like ears, nose, chest, and bikini line. What is Vasculight treatment like? When Vasculight treatment is delivered to the hair, you may feel a mild sting or pinch similar to the snap of a rubber band. No local anesthesia or pain medication is required. This depends on your hair color and location on the body. Several treatments may be needed with each session lasting 10-30 minutes. Short-term side effects may be experienced. This may include slight reddening of the skin or local swelling which goes away within a few days. In rare instances there may be some blistering. How soon can I resume to my regular activities? You can return to work the same day and resume all regular activities. However, you should limit sun exposure. How does Vasculight compare with commonly hair removal method? Shaving, waxing, and depilatory creams are all temporary methods that must be repeated regularly. 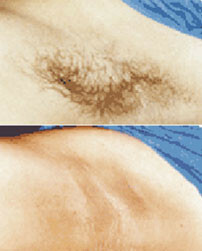 Hair removal with Vasculight offers longer lasting results. How does Vasculight treatment compare with Electrolysis? Electrolysis is a tedious, invasive, and painful process that involves needle insertion into each hair follicle and delivery of electrical charge to destroy them one at a time. It often requires years of treatments at regular intervals. Vasculight non-invasively treats hundreds of hair follicles simultaneously. In few minutes, it can treat an area effectively that would take over an hour with electrolysis. What is Vasculight & Vasculight Vein Treatment? Vasculight is a non-invasive medical system that uses light to treat a wide variety of cosmetic conditions such as removal of unwanted hair, tattoo, pigmented lesions, birthmarks and varicose veins. With the addition of NdYAG laser, it allows treatment of deeper veins and lesions that are usually approached by surgical remov al or multiple needle sclerosis sessions. It targets the blood vessel, hair and pigment cells without damage to the skin. It uses intense pulsed light and/or laser energy which heats the target tissue (blood vessels or pigments) to high temperatures. When damaged, the blood vessels/pigments dissolve causing the lesion to fade away and slowly disappear. Most of the side effects are short term and may include some reddening of the skin and local swelling lasting for few hours or days. In rare instances there may be blistering. What extent of vein problems can Vasculight treat? Vasculight treatment is effective on a wide range of vessels from very small to very large ones as well as sclero-resistant vessels. Sclerotherapy is a simple, quick and relatively painless procedure which involves injecting a sclerosing solution making the veins collapse and disappear. After several treatments, most patients can expect a 50% to 90% improvement. However, fading is gradual. Disappearance of spider veins is usually achieved, but similar veins may appear in the same general area. Sclerotherapy may have side effects such as minor muscle cramping, red raised areas, red or brown spots, bruising, or a minor allergic reaction to the sclerosing solution. None of these side effects is major, and in most cases, disappear on their own or can be treated relatively easily. What are the benefits of Sclerotherapy Treatment? Electrocautery is a safe procedure that destroys excess tissue like viral warts and skin tags by using electricity. It is done using a small probe, which has an electric current running through it, to cauterize the tissue. Various types, shapes, and sizes of tips are available for specific treatments. To minimize the pain, topical or local anesthesia is applied on the areas to be treated. How long do wounds heal? The wound starts to heal on the second day and totally peels off in one to two weeks depending on the size of the removed excess tissues. In most cases, scars vanish in one to two weeks.